The 2013 Tri-History Conference 2013, co-sponsored by the Historical Society of the Episcopal Church (HSEC), the National Episcopal Historians and Archivists (NEHA) and the Episcopal Women's History Project (EWHP), was held in San Antonio, Texas June 11th-14th, 2013. Events were held at St. Mark's Episcopal Church, St. Philip's College and TMI – The Episcopal School of Texas. Activities included HSEC Committee Meetings, HSEC Annual Meeting and Banquet, HSEC Board Meeting, Opening Service, Reception, EWHP Annual Meeting, Conference Banquet, NEHA Annual Meeting, River Dinner Cruise, Trip to the Mission San Jose, Native American Worship Service, NEHA Board Meeting. Dr. Wright and HSEC President Bob Prichard. The keynote speaker for the Conference was The Rev. Dr. Robert Wright, OMI. Dr. Wright is Professor of Systematic Theology at the Oblate School of Theology in San Antonio, Texas. His past experience was in parish ministry on the Texas - Mexico border with migrants. His academic interest and writing has been in culture and religion, fundamental theology, U.S. Hispanic Christianity, Catholic history in the Southwest. Bishop Leonidas Polk and the efforts to establish the Episcopal Church in the American Southwest. Douglas Cupples, Ph.D., Christian Brothers University, Memphis, TN. Frontier Clergyman: The Life and Legacy of the Very Rev. Silas Deane Davenport. The Rev. Jeffery C. Schroeder, M.Div., S.T.M., Fairview Christian Church (Disciples of Christ), Madison County, VA.
Edward Fontaine and the Episcopal Parish in the Old Southwest. Edward L. Bond, Ph.D., Alabama A & M University. Latino Popular Religion in the Roman Catholic. The Rev. 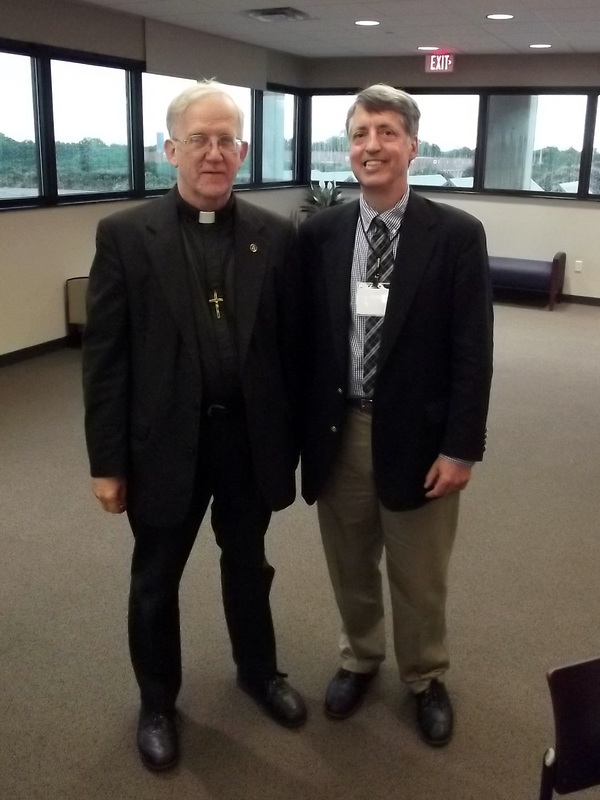 Dr. Robert Wright, Oblate School of Theology, San Antonio. The Response to Popular Culture in the Iglesia Anglicana de Mexico. Susan Saucedo Sica, St. Gregory’s Episcopal Church, Parsippany, NJ. Latin American Music in U.S.A. Churches. Diana Sanchez-Bushong, Westlake United Methodist Church, Austin, TX. Anglicanism in Mexico: Iglesia de Jesús to José Guadalupe Saucedo. 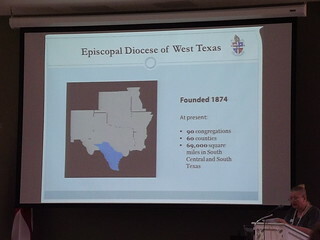 David Allen White, M.L.S., Historical Commission of the Episcopal Diocese of West Texas. Anglicanism in Mexico during the 19th century. Margarita Contreras, Instituto Cultural Helenico, Mexico City. Literature For The Latino Church: An Episcopal Translation Project. The Rev. Dr. John Rawlinson, Oakland, CA. President Ulysses S. Grant's Peace Policy toward Native Americans and the Ministry of the Episcopal Church. The Rev. Robert W. Prichard, Virginia Theological Seminary. Scandal on the Mission Frontier: The Trial of Samuel D. Hinman. The Rev. Robyn Neville, General Theological Seminary. The Patron Saint to the Navajo of the San Juan. Cathlena Plummer, Church Divinity School of the Pacific. Bishop James Steptoe Johnston: Looking Forward, Crossing Boundaries. Paula Allen, Texas Military Institute, San Antonio. Artemisia Bowden. Dr. Marie Thurston, St. Philip’s College. Disaster Planning (NEHA). Susan Rehkopf, Diocese of Missouri, Matthew P. Payne, Diocese of Fond du Lac and Dave Mistick, Sacred Builders. Oral History (EWHP). The Rev. Dr. Matilda E. G. Dunn, Chattanooga, TN and Susan Riggs Guise, Redington Shores, FL. Keeping Archives, Keeping Faith: The Episcopal Church Archives' Mission of History and Evangelism. Mark Duffy, Canonical Archivist of the Episcopal Church, Austin, TX. Writing a Parish History, Lewis F. Fisher, Author of Saint Mark's Episcopal Church: 150 Years of Ministry in Downtown San Antonio, 1858-2008. 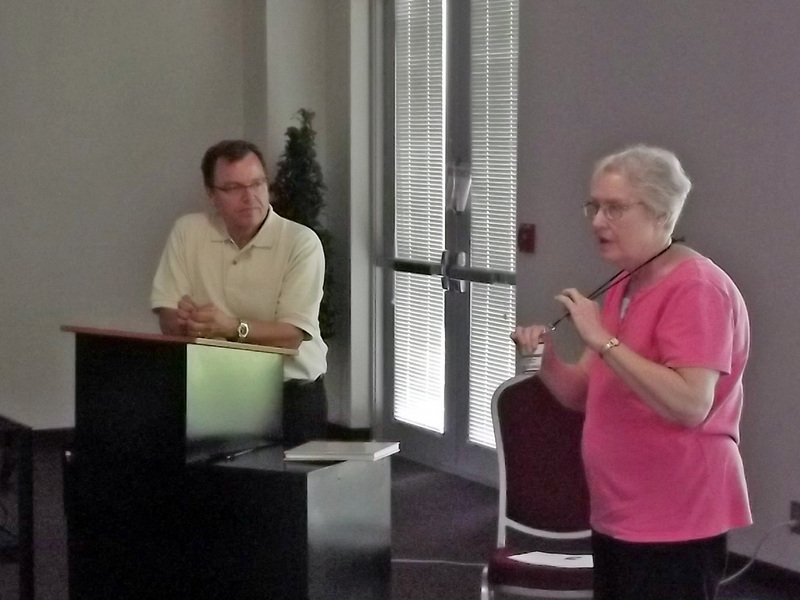 Dave Mistick and Susan Rehkopf present on disaster planning.